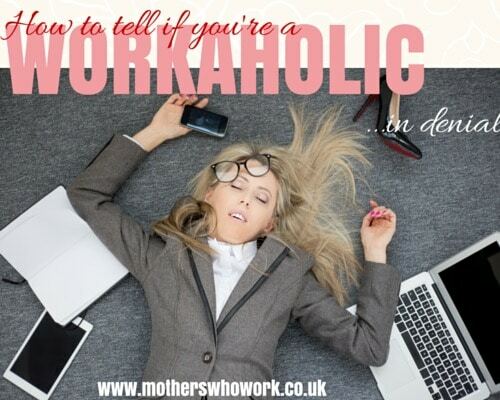 HomeAll Posts...Are you a workaholic in denial? Whether you wear it as a badge of honor, or you cringe at the thought of being labeled one, being a workaholic can have some short-term positives – getting things done! However, if you’re busy all the time, you might find that you’re alienating your family and friends and putting a strain on your health. Identifying the symptoms of a workaholic can help you make some changes in your professional life, and look for new or different ways of working, so you can get that much-desired balance. 1. Overtime, or every time? Everyone else works to a 24-hour day, but you can’t seem to identify day from night because you just don’t know or want to stop working. You start working at the crack of dawn, and somehow the day just happens, then you work until the small hours, leaving just enough to time for a nap before you start again. At the weekends, you can’t go anywhere without your phone, you’re known to whip it out at dinners, weddings, funerals, because there’s an important project going on at work. Anyone who dares to comment about your work ethic gets the hairdryer treatment – between emails; or the look of death between tweets. On a serious note, though, I f you always struggle to meet your professional goals on a daily basis and constantly use your evenings and weekends to achieve your target or meet the responsibilities then you are a workaholic. It’s true that there’s nothing wrong with doing a little extra for work when it’s required, but if you can never break the back of your workload then you’re either over committed or are not managing your time effectively. If you struggle to take your annual leave and constantly carry over so many days that HR have banned you from carrying anymore to the next year, that’s an alarm bell. Don’t think you’re off the hook because you take annual leave and spend all or most of it ‘working’ – that’s just as bad as not taking any at all, if not worse. Annual leave is a statutory requirement – you are entitled by laws to take a break from working because we all need to rest mentally and physically. While you may feel like supermum doing it all, the strain will eventually take its toll. Take a break, every now and then. …and even after making a plan you hardly go through with them because of an ‘urgent’ work commitment to complete then you definitely fall in the category of workaholics. If family and friends have stopped expressing their disappointment at you constantly cancelling plans with them, then you could be on a slippery road to solitude. Stop treating your family and friends like spare parts before it’s too late. 4. Play date with who? Can you name your child’s best friend at school and three other children in their class? In 30 seconds? If you’re still scratching your head, then that effectively means you probably don’t have much conversation with your child…at all. Is it because you’re never available to do part of the school run? Or are you always too busy to have a chat because you’re…working again. You can break this cycle by giving your child a solid 15 minutes of your undivided attention in the evening. During this time, down all your tools and give your child your undivided attention. Multiply this time by each additional child, at separate times and you’ve given everyone in your home some quality time. Being tired, sometimes, is normal, but all the time is not. There are no awards for martyrdom these days, and the impact on your health and how you relate with your near and dear ones won’t be a positive one. Breaking the cycle means learning to prioritise your time and workload. Not working isn’t an option for all mums, but you can make working fit into your lifestyle rather than the other way around. Consider flexible working if you want to reduced your workload, or working from home a day or so a week – the time you save commuting, could be spent more productively working at home, which means you’ll get more done anyway. You may also need to be strict with your time – when you’ve finished work, don’t keep your work phone on, for example. Whatever you do, don’t beat yourself up if you are a workaholic. The main point is to recognise that change is required and take it from there.